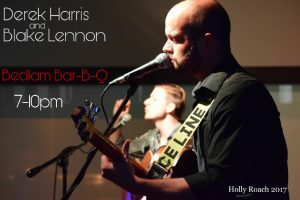 Blake Lennon and Derek Harris are jamming the house tonight from 7pm to 10pm! $3 Beers and $1 Icing Cookies! Great local beers on tap like Lively Lager!